Get your landing page ready in minutes. You will only need HTML basic skills to edit it. Amazing HTML 5 Animation. ( You can edit the images too ! ) Responsive template. Bootstrap 3 template. 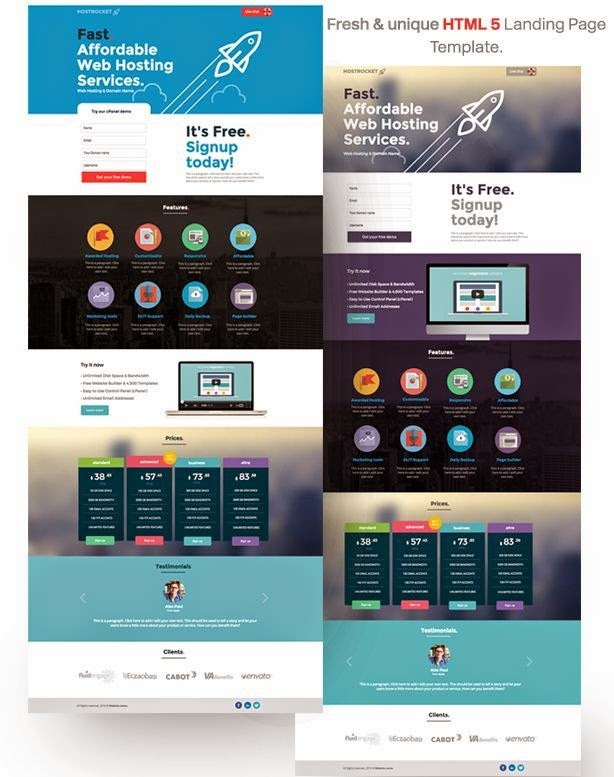 Beautifully crafted and followed by the top landing pages trends, images, headers, call to action elements & more.. Video Support Trust Indicators : Testimonials & Logo Accreditation We respond very fast to help you setup your landing page. 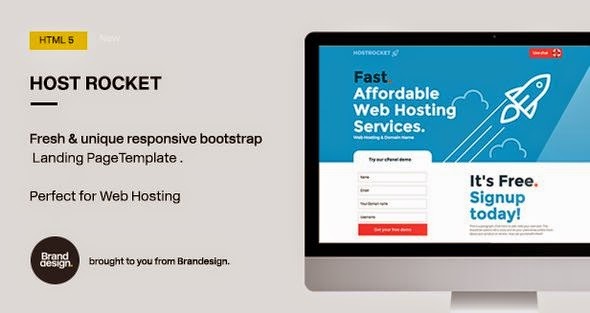 Item Reviewed: Hostrocket Best HTML5 Landing Page Template 9 out of 10 based on 10 ratings. 9 user reviews.